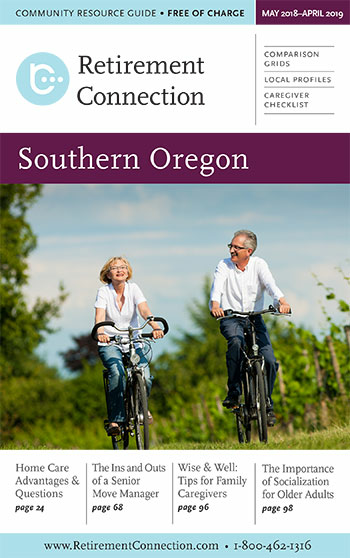 Don’t forget to reserve ad space and let us know of any edits needed needed for the upcoming May Southern Oregon Guide. Towards the end of this month we will begin sending out ad confirmation emails and starting the phone calls to update the homecare and housing grids. Last month we were excited to meet with several hospital and area agencies on aging staff who gave us insights into how they use the guide and share it with their patients. We will be incorporating some of the these new suggestions in the next guide and invite you to share your feedback, so that we can become a more valuable resource to you. 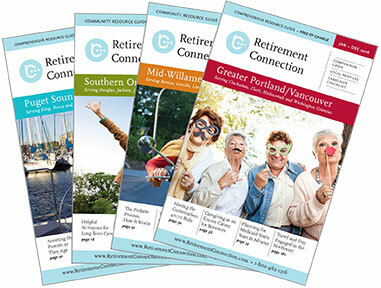 Don't forget, Retirement Connection is more than a print guide and we encourage you to post your events online, include your email and website links with your online listings, and join us monthly for networking opportunities. We are here to be an extension of your marketing efforts with print, web and networking. In the current political climate, I felt I should pivot slightly on my monthly “Nugget.” So, here goes… If you would like to march or speak out - please do so in support of something - in support of a better America, in support of LGBT rights, in support of women's rights, in support of healthcare rights, in support of minority rights, but please do NOT march against something. Be pro peace, pro diversity, pro equality, but be FOR something positive and not just AGAINST what you do not like.